The EL9510 power supply unit terminal generates an output voltage of 10 V DC from the 24 V DC input voltage. The output voltage can be accessed at the terminal. 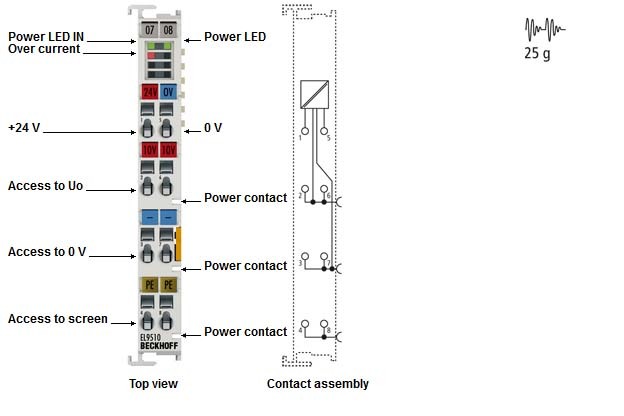 The following EtherCAT Terminals are also supplied with this voltage via the power contacts. The power LEDs indicate the terminals‘ operating state; the overcurrent LED indicates short circuit or overcurrent. The input voltage and the output voltage U0 are not electrically isolated.